I've always stop by to HBC to buy any interesting beauty products and this time it is this San San Shimmer Lipstick that caught my attention. 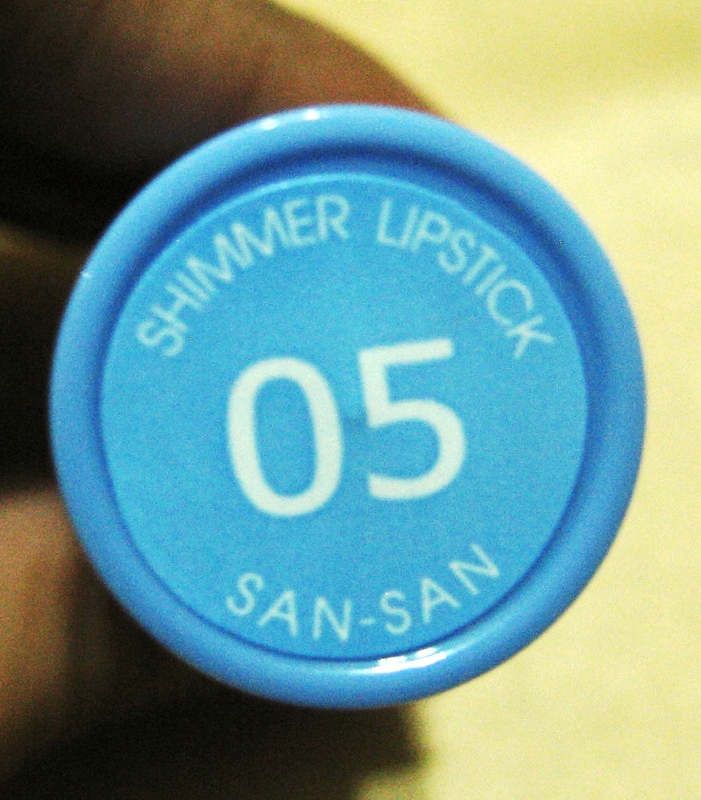 I saw one of the saleslady wearing this lipstick and thought it was pretty and ask her what product and shade it is. I love the shade, it is light pink and very pretty on the lips. The shimmery is just right for a luscious and lovely lips. 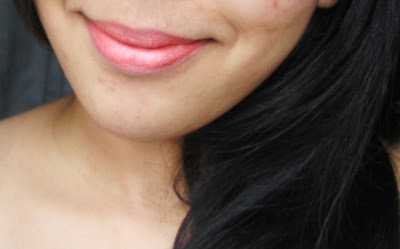 Easy to glide creamy lipstick. Downside, you have to re apply after 3 hours with eating and drinking (based on my experience) . The packaging is well made and doesn't look cheap. It doesn't have any distinct smell (just the usual lippies smell).It has SPF 15 with Vitamins C and E. Most of all, it is super affordable.